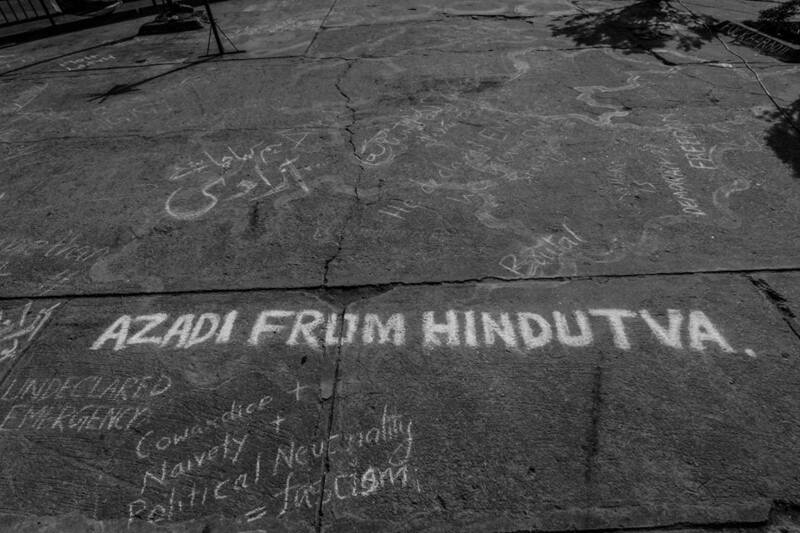 Azadi from Hindutva, this graffiti demands. The movement has asked complicated questions about the relationship of casteism and communalism, and the intertwined nature of the fight that these students have faced. Hindutva, as many of the protesting students have eloquently explained, is not merely ‘fascism’ or ‘right wing’ politics, but deeply interrelated with casteism and caste hierarchies.